Crassula ovata, commonly known as Jade Plant, is prized for its succulent, green, oval-shaped leaves, clusters of white to pink flowers and a distinctive, attractive form. It is possible to grow a Jade Plant outdoors up to USDA hardiness zone 9b, but you can grow it anywhere as a houseplant. Many people enjoy growing Jade Plants in their homes and offices. Choosing or preparing an appropriate potting soil mix is key to avoiding problems like root rot. The only major soil requirement that Jade Plant has is that the soil must drain rapidly. Jade Plant is native to South Africa and Mozambique and has adapted to thrive in rocky, sandy soils with low fertility. Jade Plants do have a tendency to become top-heavy and their shallow roots make them prone to tipping over. A slightly heavier soil that contains a greater amount of organic matter better anchors Jade Plant. Jade Plants can grow in acidic or slightly alkaline soils but can suffer from nutrient deficiencies or toxicity in an extremely low or high soil pH. Root rot is common in Jade Plants and is caused by overwatering or heavy, poorly draining soil. 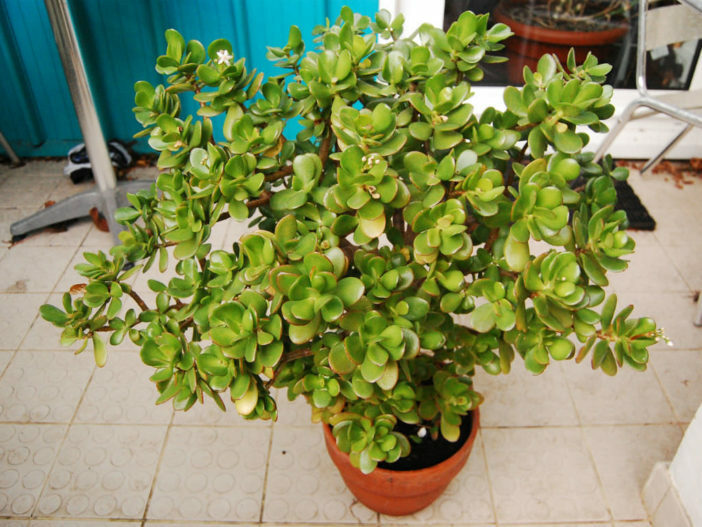 The stems and leaves on a Jade Plant with root rot may darken and become mushy, leaves can drop and the roots turn brown and mushy, rather than light-colored and firm. If left untreated, Jade Plant generally declines and dies. Too little water or a soil mix with little or no organic matter and a limited ability to retain water can cause drought stress on Jade Plant. Symptoms of drought stress include stunted growth, leaf spotting or discoloration, leaf drop and in extreme drought conditions, death.